1. Koko the gorilla responds to a sad moment in her favorite film. 2. The parrot with the moving last words. 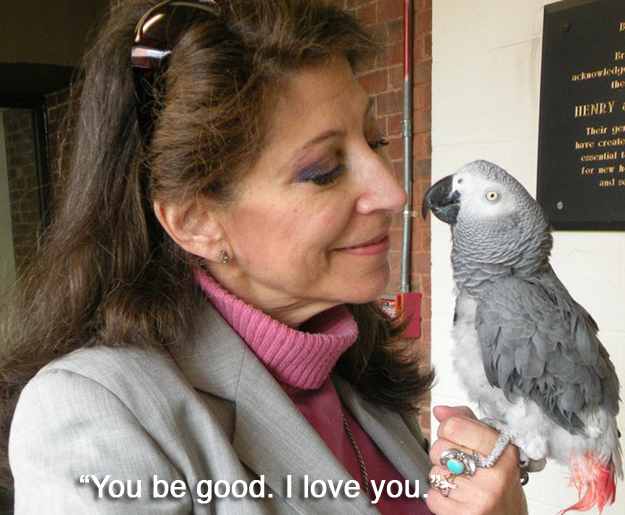 Alex the African gray parrot was able to count and identify colors, and he had a beautiful relationship with his person, Irene Pepperberg. When Alex died in 2007, his last words to her were "You be good. I love you." 3. 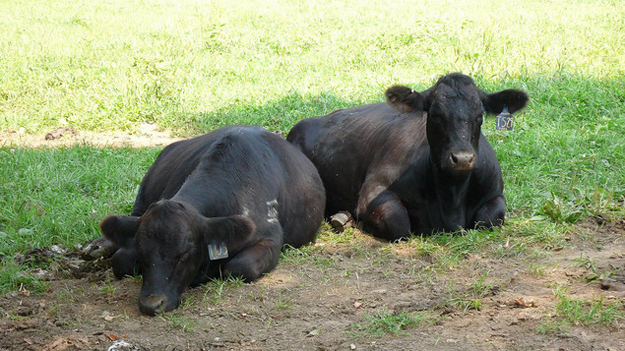 The fact that cows have best friends and get stressed when they are separated. According to scientist Krista McLennan, "When heifers have their preferred partner with them, their stress levels in terms of their heart rates are reduced compared with if they were with a random individual." 4. The two guide dogs who led their owners down 70 floors in the World Trade Center before the towers collapsed on September 11. 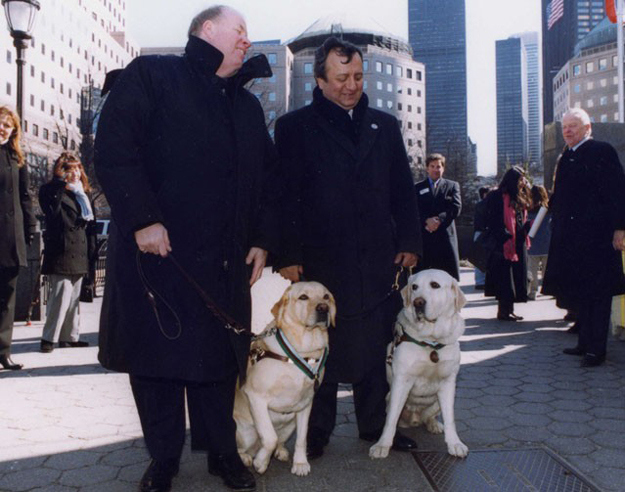 Guide dogs Salty and Roselle were awarded a joint Dickin Medal "For remaining loyally at the side of their blind owners, courageously leading them down more than 70 floors of the World Trade Center and to a place of safety following the terrorist attack on New York on 11 September 2001." 5. 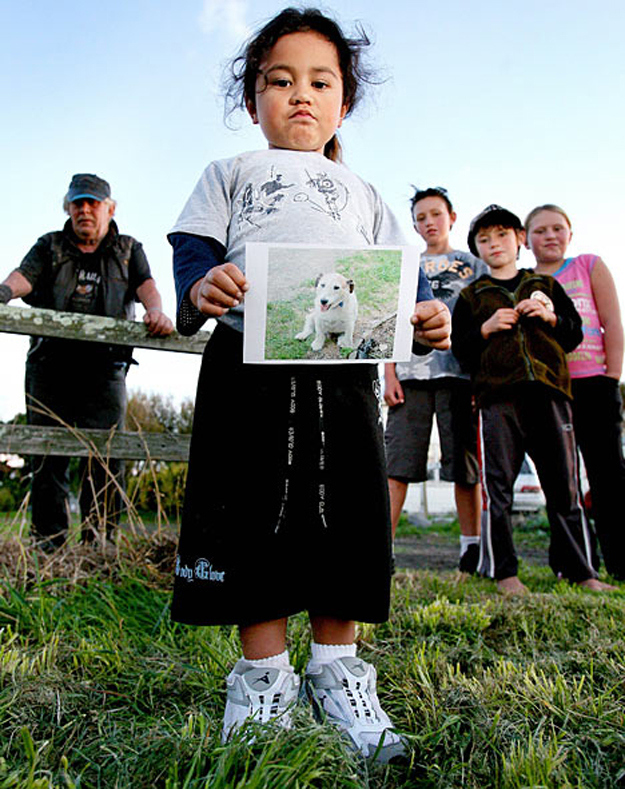 The Jack Russell Terrier who gave his life to rescue five children from wild dogs. In 2007, five children were playing with George when they were attacked by pit bulls. "George tried to protect us by barking and rushing at them," said one of the children about the attack, "but they started to bite him - one on the head and the other on the back." His heroic intervention saved the children, though he later died from his injuries. George was posthumously awarded a medal for bravery. 6. 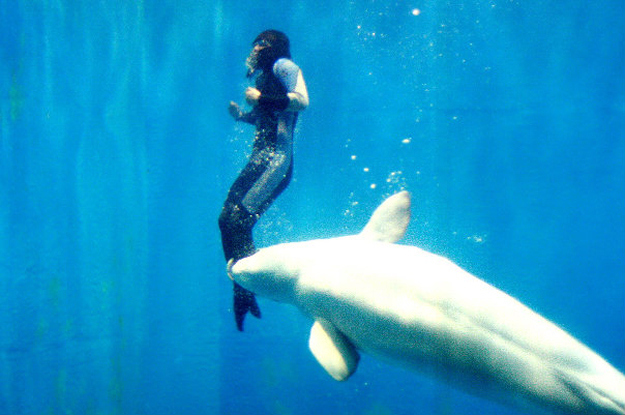 The beluga whale who saved a free diver who had cramped up 20 feet below the surface. When free-diver Yang Yun tried to return from the bottom of an arctic pool, she found that her legs had cramped up and she couldn't move. "I began to choke and sank even lower and I thought that was it for me – I was dead. Until I felt this incredible force under me driving me to the surface." 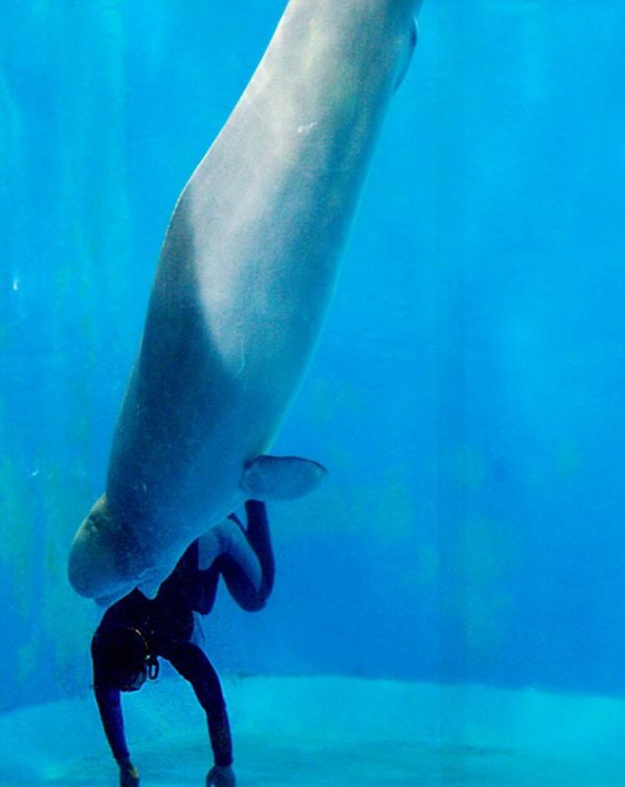 A Beluga whale named Mila had seen what was happening and sprang into action, guiding Yun safely back to the top of the pool. 7. 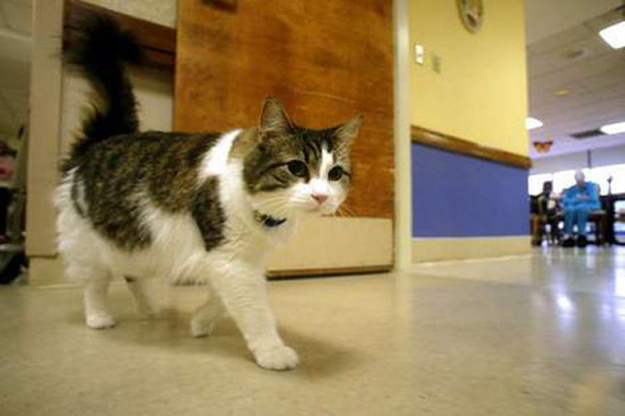 The cat who can sense when someone is about to die. 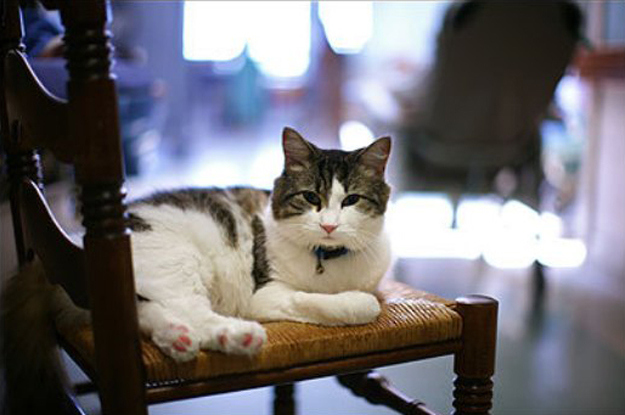 Oscar could always sense when one of the residents at the nursing home where he lived was near death and would sit quietly on their bed during their last moments. One relative of two sisters who died in the nursing home said of Oscar's vigil, "Oscar's presence gave a sense of completion and contentment. Both women loved pets. Oscar brought a special serenity to the room. 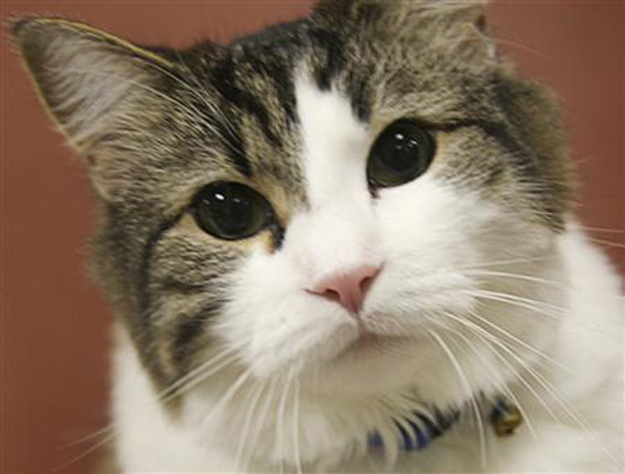 What's more peaceful than a purring cat? What sound more beautiful to fill one's ears when leaving this life?" 8. 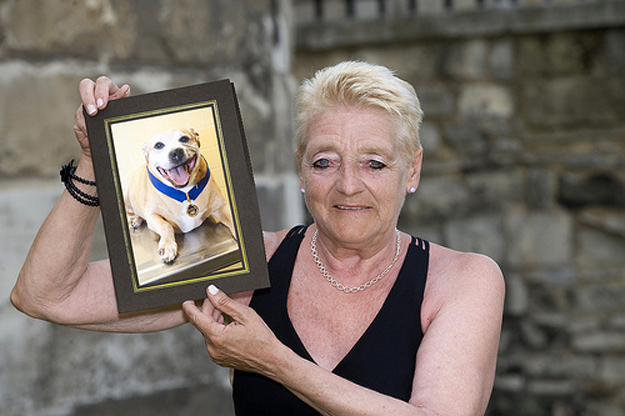 The Staffordshire bull terrier who protected her owner from a machete gang. Patricia Adshead was making tea when three men wearing masks and wielding machetes broke into her home. Adshead's ex-husband rushed to help, but one of the assailants sliced through his hand with a machete. “I was trapped in the kitchen with Oi and one of the men. He raised the machete over my head," she said. 9. The gorilla who remembered his old friend. 10. 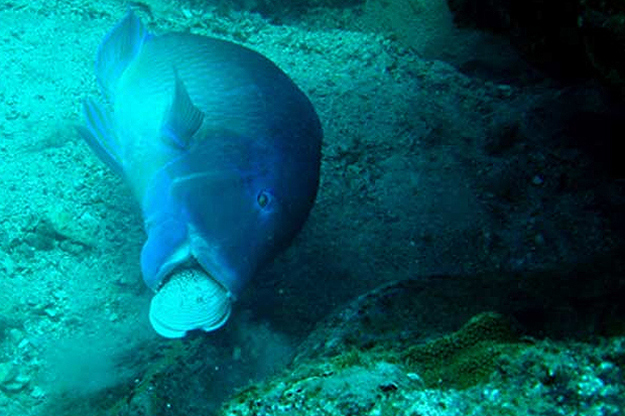 The recent discovery that fish use tools to perform tasks. In 2011, a professional diver captured this amazing image of a fish smashing a clam against a rock to get at its innards, proving that fish have vastly superior capacities than most people believe. 11. 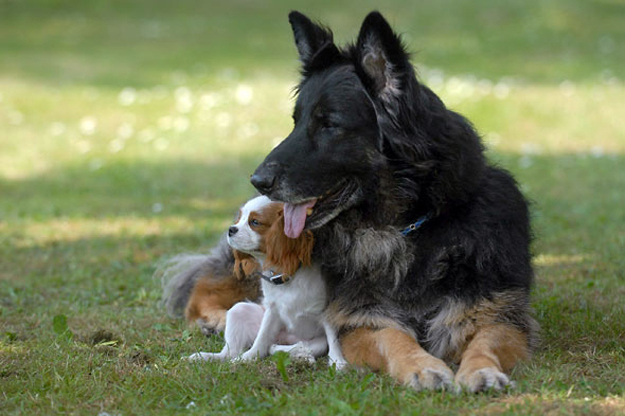 The German Shepherd who has become a seeing eye dog for a blind spaniel. 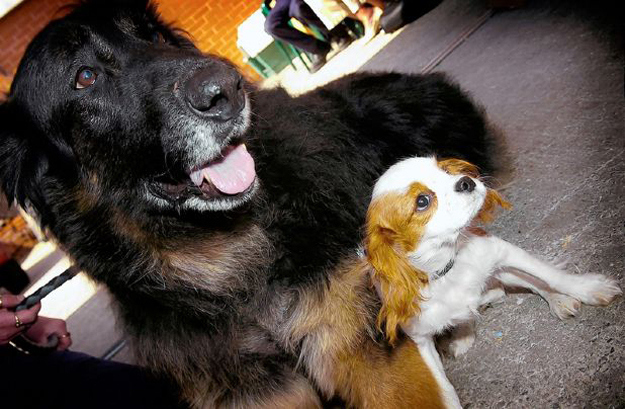 When Ellie, a blind spaniel, was adopted by shelter manager Jean Spencer, she never expected that her other dog, Leo, would choose to become her very own seeing-eye dog. "I take them for walks in the park and Leo guides Ellie around," says Spencer. "He is so protective and herds the more boisterous dogs away from her." 12. The abused circus elephants who were reunited at an elephant sanctuary after 25 years apart. 13. The amazing story of Christian the lion. 2 responses to "14 Stories That Prove Animals Have Souls"
Beautifull, thanks for posting this. i don't think the most destructible and stupid creature on earth, has the right to decide, who has a soul and who has not a soul. and wtf is a soul, another invention from humans. only humans has the needs to believe in a god, to live there life. animals live life and accept the dead.